! !DR LOPEZ IS ONE OF ONLY ABOUT 2000 DOCTORS WHO HAVE BEEN BOARD CERTIFIED IN BARIATRIC MEDICINE AND INTERNAL MEDICINE IN THE U.S. HE HAS HELPED OVER 26000 PATIENTS FROM ALL 50 STATES LOSE WEIGHT AND KEEP IT OFF!! LOSE MORE POUNDS WITH "MAX-C-BLOCK", OUR NEW CALORIE BLOCKER AND OUR LOW CALORIE PROTEIN SHAKES. ALSO TRY OUR PROTEIN SUPPLEMENTS AND SHAKES FOR INCREASED VITALITY & ENERGY!!!
! !VISIT TODAY, WALK INS ONLY, WE DON'T MAKE APPOINTMENTS!! We have helped thousands of patients lose weight and keep it off for over ten years. The program was established by Octavio M. Lopez, MD, FACP who is one of the few specialists in the country who is Board Certified by the American Board of Bariatric Medicine and the American Board of Internal Medicine. Dr. Lopez is dedicated to helping his patients lose weight in a healthy and sensible manner using only proven methods and medications approved by the FDA and the medical establishment. We provide caring, comprehensive, one on one treatment to each patient and each diet program is customized to the patients lifestyle, work schedule, and eating habbits. Our program is sensible, affordable, and safe. There are no gimmicks, unproven therapies, special foods or supplements to purchase, or other out of pocket expenses. We only use affordable, established FDA approved medications, manufactured in the U.S. 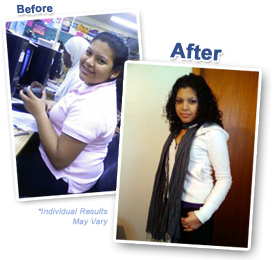 Motivated patients are losing hundreds of pounds using our program and you can too. Call Your Nearest Office Today for More Information. Walk-Ins Only / No Appointment Necessary.